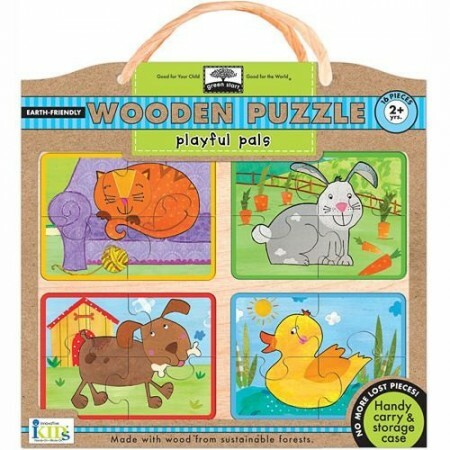 These earth-friendly puzzles are made with wood from sustainable forests and are packaged in a reusable carry-along storage case. Contains 14 fun colourful pieces that are specially designed for children aged 2+ years to enhance their learning skills. 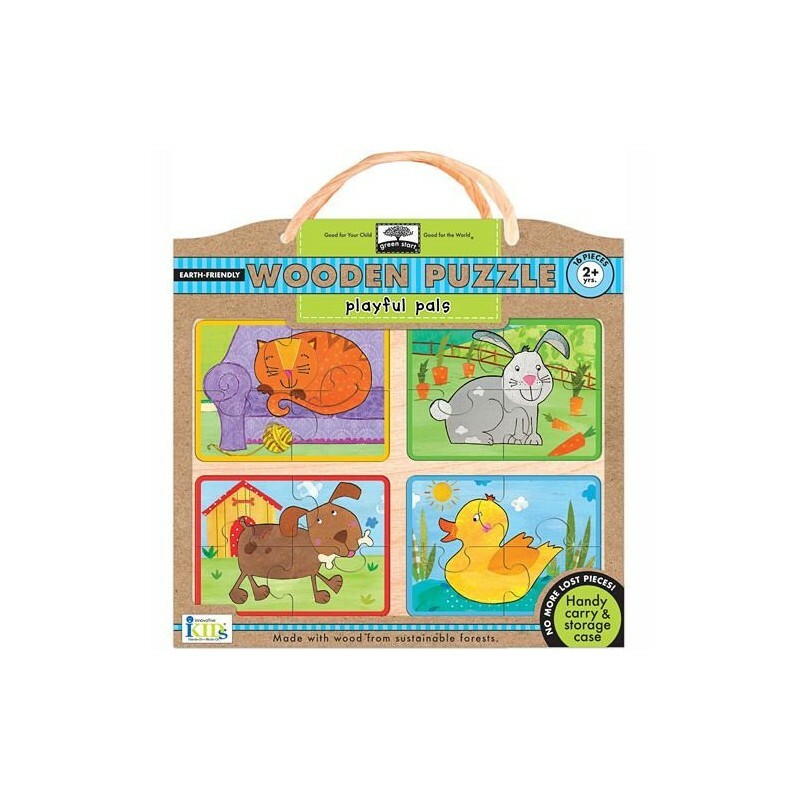 Level 2 years + : each level of Green Start wooden puzzles is specially designed to enhance the learning skills of children at different ages and ability levels. 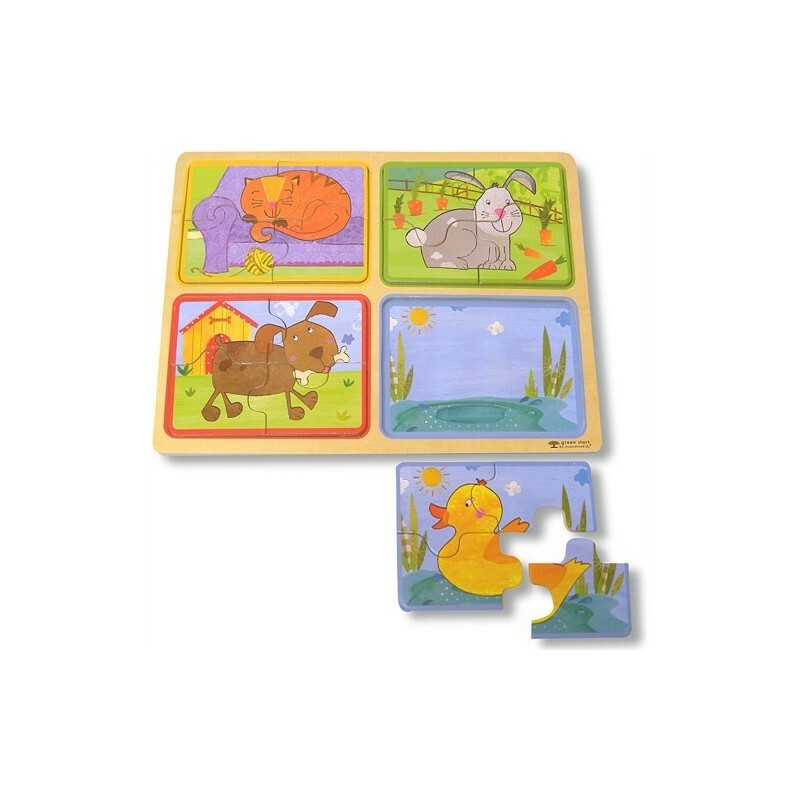 16 colourful puzzle pieces made from FSC certified wood. Raised pieces are easy for little fingers to grasp. Contains 16 pieces designed for children aged 2 years + to help develop spatial awareness that contributes to critical and advanced thinking skills and builds patience and determination. Carry case: 30cm x 26cm. Please note that the packaging of this product does contain some plastic. U.S. company. Made in China. Really lovely product. Good size, lovely packaging/storage on the wooden board. Highly recommend this eco options for children!